Many times I have mentioned The Night People and the Draught House in Davenport down on the levee beside the Mississippi River. Even before Silver Laughter was born, Jon and I (and probably Ken and Paul too) used to haunt the establishment to watch the bands and look at girls. 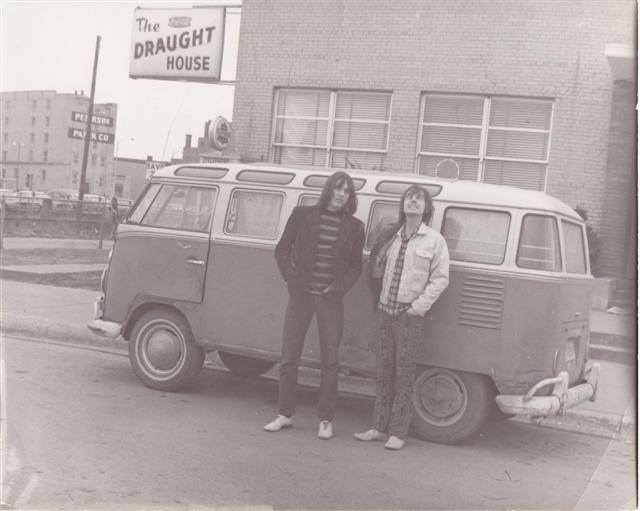 Here is a photo of two of The Night People, Rob Dahms and Mike Stroehle next to their Volkswagen Bus in front of the club they helped get started. ‹ Fun New Photo of The Silvers!